Our NEW Circadian Sleep formula combines melatonin with a unique citrus-peel extract to encourage healthy function of both central and peripheral circadian clocks, respectively. MicroActive Melatonin promotes optimal sleep-wake cycles, and Nobiletin from young citrus peel supports healthy expression of genes that govern your peripheral circadian rhythms. You’ve probably heard of circadian rhythms — they’re best-known for regulating your sleep-wake cycles. In addition to the central circadian “clock” in your brain, the internal-time keeper that regulates sleep, you also have peripheral circadian clocks in various organs that govern essential biological processes: heart rate, body temperature, hormone release, blood pressure, liver, kidney and pancreatic function, and more. But ageing, hectic modern lifestyles, and other factors can disrupt all of your circadian clocks — which can affect your health. So we developed our Circadian Sleep formula to restore these natural rhythms: MicroActive Melatonin targets the central clock in your brain, while Nobiletin young citrus peel extract promotes healthy peripheral clocks, which control the rest of your body. Peripheral circadian clocks exist in virtually every cell of your body and are organized hierarchically, with the central clock setting the pace by regulating healthy sleep-wake cycles. Melatonin, known as the “sleep hormone,” is primarily synthesized at night in the brain by the pineal gland. 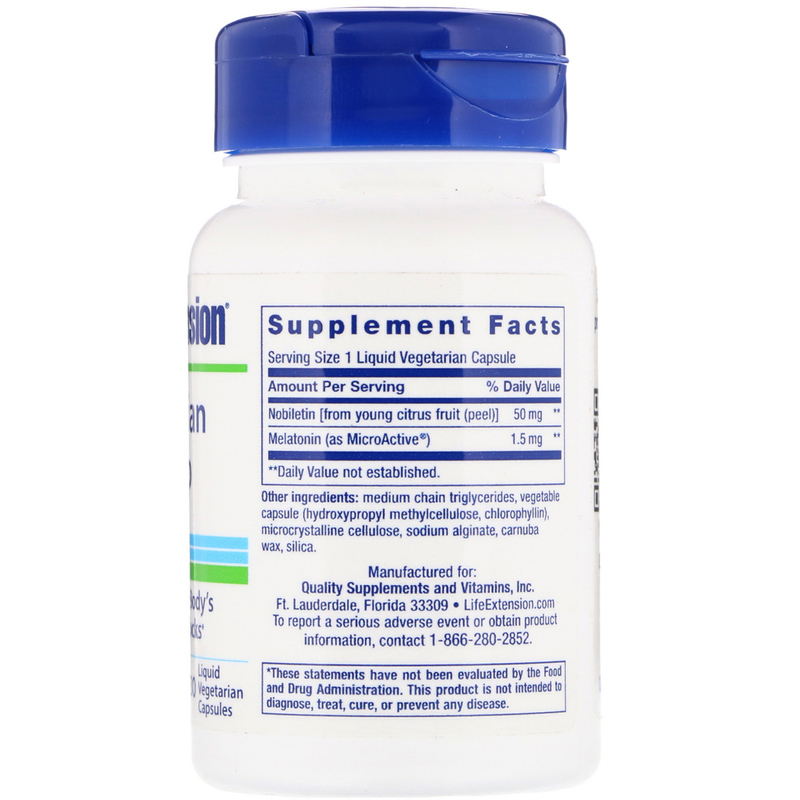 Melatonin ensures that the central clock is properly regulating sleep-wake cycles and aligning the peripheral clocks with the sleep-wake cycles for whole-body health. Nobiletin is a polymethoxylated flavone isolated from young citrus peel. It has been shown to exhibit neuroprotective and antioxidant properties as well as promote a healthy inflammatory response. Results from a recent pre-clinical study suggest that nobiletin may also help positively regulate peripheral circadian rhythms. It does so by directly activating a unique set of receptors widely expressed throughout the body, and known to play a key role in regulating circadian rhythms. In another pre-clinical study, nobiletin regulates the expression of circadian genes which themselves control the expression of other genes with specific circadian functions in every cell. 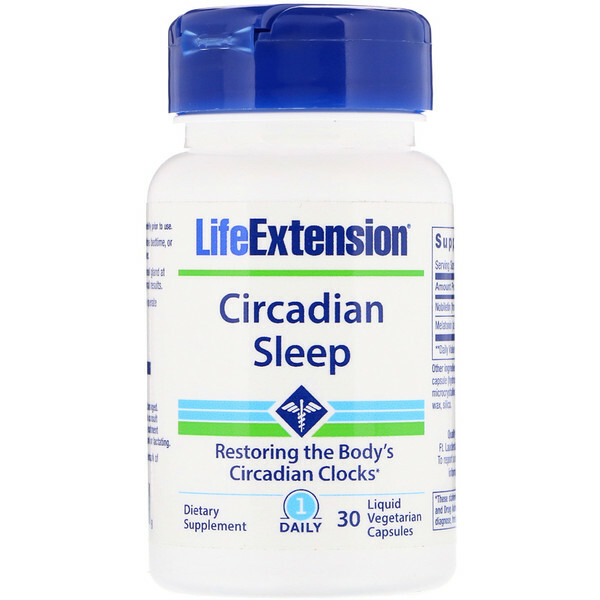 Healthy expression of genes controlling circadian rhythms supports metabolic, cognitive, liver, and kidney health and also helps maintain healthy blood pressure, cholesterol, and triglyceride levels already within the normal range. Medium chain triglycerides, vegetable capsule (hydroxypropyl methylcellulose, chlorophyllin), microcrystalline cellulose, sodium alginate, carnauba wax, silica.